That’s been the story with Greece’s debt and deficit figures for some time, particularly since it’s become almost customary for the figures to receive at least one upward revision on their original estimates. However, Eurostat’s latest figures suggest the problem (of missing targets) looks to be spreading to other peripheral eurozone countries (not that the spotlight isn’t still firmly on Greece). Eurostat yesterday released its debt and deficit data for 2010 and it included some interesting revisions – upwards as always. Starting with Greece, we see that the government missed its deficit target by 1.1% of GDP (all % are of GDP from now on), coming in at 10.5% instead of the 9.4% which the Greek government proudly predicted in January. To be fair, this still means the deficit fell by around 5% last year, but the figures show that less than 2% of the decrease came from increased revenue. Things continue to look bad for Greece, as we, amongst others, struggle to see where the government will find the money it needs. The programme of spending cuts is already pushing austerity to its limit and the government just doesn’t seem to be able to increase revenue (tax evasion is still massive but the ongoing recession, which is worsened by the austerity, just makes tackling it all the more difficult). Meanwhile, Portugal also saw its deficit revised upward for the second time in a matter of months. It now stands at 9.1%, way above the government’s estimate of 7.3%. The government still put the difference down to changes in accounting rules enforced by the EU, although it is strange that it seems to affect Portugal so much more than anyone else…in any case Portugal now needs to cut the deficit by close to 5% to meet its target for 2011. Its debt burden was also increased, putting it at 93% in 2010. Ireland fortunately didn't see its deficit or debt estimate revised, although with the deficit coming in at a whopping 32.4% this isn't much of a consolation (most of the deficit is down to the bank bailouts, but even excluding them the deficit was around 12% - the highest in the eurozone). All in all the figures weren’t exactly expected to be encouraging but the continuing string of upward revisions and missed targets doesn’t exactly inspire confidence. 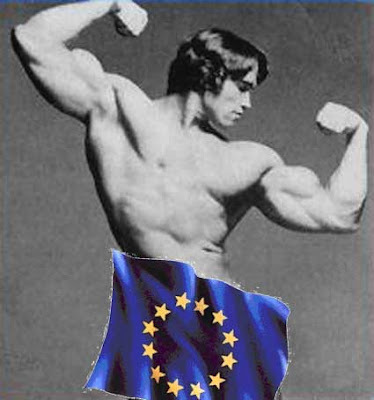 This is a bit risqué (or the picture at least), but latest on the grapevine is that Arnie 'I'll be back' Schwarzenegger could be eyeing up his chances as next European Council President. According to his chief of staff, "In the next few years, the EU will be looking for a much more high-profile president - somebody who can unify Europe". To go from being Governor of California to EU President would arguably be a bit of a fall from grace. Despite the attractive pay packet, it's difficult to see what would possess anyone to want to take over from Herman Van Rompuy. All the same, Arnie evidently has valuable experience in dealing with huge levels of public debts (in terms of running up its credit card, California could compete with the likes of Greece and Ireland, though not quite as bad). And given the pretty bad shape the EU is in, the Austrian giant could hardly make things worse. But despite Arnie's obvious talents and dedication to politics (cue photo), we can forsee certain problems in his bid. Though he might go down well with voters, alas, it's the EU leaders he'll have to convince (and they don't like to be overshadowed by people with personality, hence Van Rompuy). Perhaps a change in rules would help him out? God forbid suggesting that the post should be democratically elected, so how about an arts and crafts contest - haiku reading versus wooden acting? Last week the news was full of talk of a new economic alliance between Spain and China, following Jose Zapatero’s visit to Beijing. 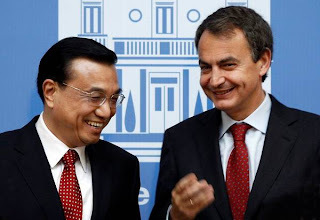 Zapatero spoke of promises by the Chinese government to continue buying billions of euros worth of Spanish government debt. There was even some chatter about a substantial $13bn investment by the Chinese sovereign wealth fund (CIC) combined with private investors. It looked like a match made in heaven. Alas, as with many whirlwind romances (we felt one night stand might be a bit harsh), everything was not as it seemed. As often is the case, one partner (Spain) seemed much keener on the whole arrangement than the other, and went off touting the new relationship to its friends (the Spanish and European media in this case). Unfortunately, the other partner was looking for a more ‘at arm’s length’ type deal and China began to distance itself from the rumours. The whole charade was put down to “an error of communication”. Spain was eventually forced into a slightly humiliating retraction of Zapatero’s initial statement and an awkward silence has since prevailed. Despite being a slightly comic interlude to the ongoing depression of the eurozone crisis this whole situation highlights that there is no easy answer for Spain. It needs to continue with its economic reforms and spending cuts, and maybe markets will continue to support it. This is especially true now that the hope of finding a sugar daddy to help fund it over the next few years has been ruled out (although we’re fairly sure America has dibs on China’s funding of debt anyway). 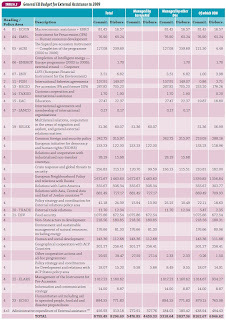 ...That was how EU Budget Commissioner Janusz Lewandowski presented his 2012 EU budget proposal, tabled today. With such a heading it must include lots of belt tightening, better targeting and some relief for those European governments whose budget is already incredibly strained, right? To the surprise of no one, the proposal includes increasing the budget by 4.9% (€6.2bn), around 2% more than average inflation in the EU. I don't know about you, but we wouldn't usually describe that as austerity. We're looking at a €769m (£680m) increase for the UK. This is dwarfed by the €1.2bn that is added to Germany's EU bill for next year under the proposal (quite apart from the €100bn+ in loan guarantees that the country's taxpayers are already liable for through the bail-out packages). 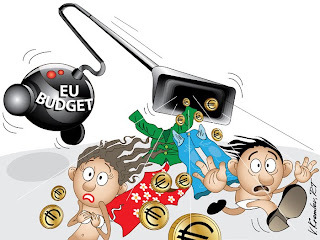 The French, who are beginning to realise that they are now net contributors to the EU budget, are on the hook for an extra €1bn - not exactly pocket change. The Netherlands, whose Government is now asking uncomfortable questions about the EU's external aid (partly as a result of our recent report on the topic) are on the hook for another €309 million. For all the contributions see table below (click to enlarge - these figures are gross contribution, meaning that in reality some countries might actually get more cash back than what they pay in, for example Spain). We're sorry, Mr. Lewandowski , this proposal is neither for "500 million Europeans" nor for "times of austerity". In fact, it's quite the opposite. Our recent aid report has kicked off a bit of a storm in the Netherlands. Nieuws.nl reports this evening that a debate will be held in the Dutch Parliament, the Tweede Kamer, on EU aid spending at the request of a PVV MP, with the support of the governing VVD and CDA, as well as the Socialists. Dutch MPs are asking why EU external aid has been spent on various projects cited in our report, including €463,ooo in funding for a dance project in Burkina Faso, and by what Sunday Times' journalists found in Sierra Leone. Meanwhile, the Commission is particularly sensitive about this issue. We're reliably informed that its press officers are briefing journalists that our main criticism - that only 46% of EU development aid reaches lower income countries - is unfair and inaccurate as it includes EU aid that is not meant for development (The 46% of EU aid targeted at lower income countries compares with 74% of UK aid using the same methodology). The Commission has been saying, although not yet in public, that money spent in Europe's neighbourhood cannot be considered development aid in the same sense as aid to sub-Saharan Africa, for example. To get technical, what this boils down to is how much aid is classified as "Official Development Assistance" (ODA) - a classification used by the OECD's Development Assistance Committee to categorise external aid spending that has "promotion of economic development and welfare as the main objective". 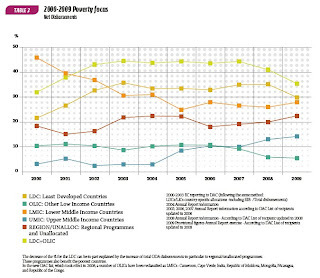 ODA only includes money granted to what the OECD classifies as "developing countries". "Figure 6.5 shows the share of the EU’s external assistance classified as ODA. In all, 96% of the total resources of EU external assistance committed in 2009 are considered reportable as ODA, indicating an increased focus on development in external financial allocations." So, of the EU's €12,298m 2009 aid budget, €11,764m was considered as reportable as ODA or development aid. And to be clear, this includes the majority of money spent in European countries under the so-called European Neighbourhood Policy, for example. 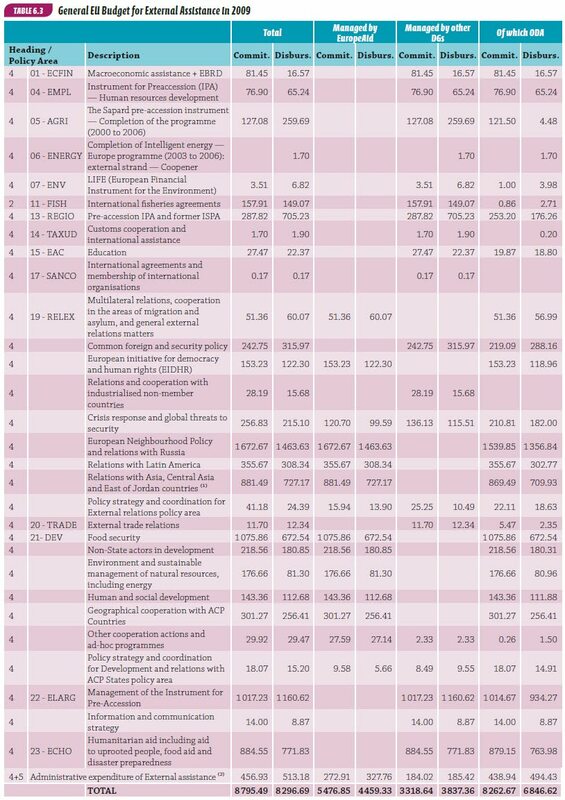 Table 6.3 (on p170 of the report) clearly shows that of the €1,463m spent on the "European Neighbourhood Policy and Relations with Russia", €1,356m was considered by the Commission as ODA (click the table below to enlarge). 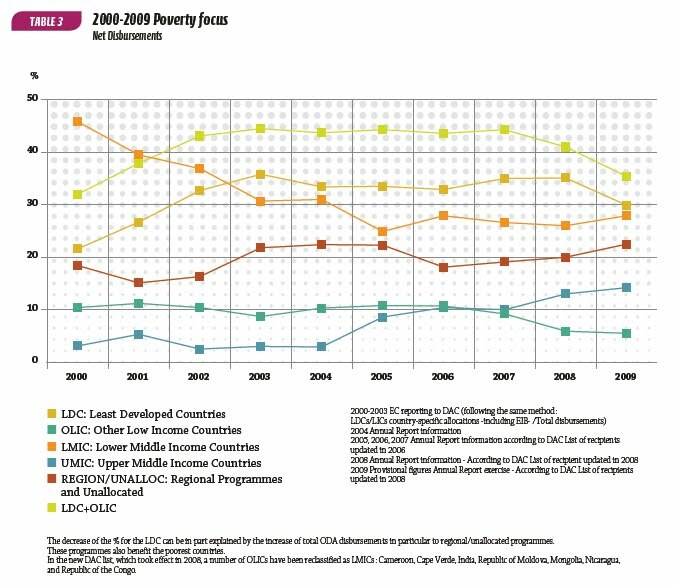 The green line at the top combines EU ODA spent in what the OECD considers to be "Least Developed Countries" and "Other Low Income Countries", which dips to about 35% of EU aid disbursed in 2009 (if you're wondering why our figure is a higher percentage, it's because we have taken the EU's spending in lower income countries as a share of "allocable ODA" rather than total ODA spending, which includes aid that can't be allocated to countries using an income category). In its 2011 multilateral aid review (p170), the UK's Department for International Development said of the Commission's central aid budget that, "Although almost all budget instrument spend is classified as ODA, none of the budget instruments, except for the DCI geographic programmes and most of its thematic programmes, are purely development focused." So, unless the Commission is saying that its own figures are wrong or can explain why this (its own) methodology is no longer valid, we don't know what other conclusion can be drawn from the figures - they're there in black and white in the Commission's own documents. It's not our fault if the Commission reports something as development aid which it doesn't consider development aid (it doesn't exactly inspire confidence but that's a different discussion). Frankly, what in the world is the Commission on about? "When European Union leaders forged their monetary union without a full political and economic merger, they gambled on two vital factors: That economic forces could be kept in check, and that national democracies could be managed. Over the past 16 months, we have been reminded time and again exactly how big and how irresponsible those gambles were. Sunday's was arguably the strongest reminder yet, courtesy of the anti-euro True Finns party that may hold the balance of power in the next Finnish government. Paris, Berlin and Brussels seem not to have factored Nordic populism into their grand plans for the euro. 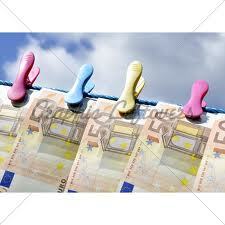 But ultimately the euro zone is about politics, and politics remain as local as they ever were." "The True Finns' success will not change European politics overnight, and the party may not even succeed in blocking Finland's participation in future bailouts. But, irrespective of what we think of the True Finns, the election does highlight how powerfully a euro-zone crisis can contribute to shaping national politics. Euro bailouts were also an important issue in Slovakia's elections last year, and helped to deliver a new governing coalition that refused to take part in Europe's Greek bailout. That government only reluctantly kicked in later to help create the temporary bailout fund that euro leaders are now looking to replace after 2013. This year the True Finns asked voters to consider the same question that Slovaks did last year: Why should they work harder and retire later to pay for the mistakes and wasteful habits of southern European governments? This "triple-A populism" has proven a powerful force in a number of countries with sparkling credit ratings, including Germany. Writ large, this weekend's Finnish elections are a rebuke of one of the euro zone's central, and fatal, conceits: that political ambition can trump economic and democratic realities." "Markets have now finally woken up to the fact that Greece and Germany are poles apart; it is time for EU leaders to do so as well. Ireland, Greece and Portugal have made all too clear that economic forces can rarely be predicted, let alone contained. Some particularly federal-minded EU leaders took this as a pretext to push even harder for a full-fledged fiscal union. Former European Commission President Romano Prodi wrote in an op-ed in the Financial Times last May that "When the euro was born everyone knew that sooner or later a crisis would occur. . . . I was warning years ago that, through no one's fault in particular, extraordinary events could occur that would force joint co-ordination of fiscal policies." That sentiment spurred EU leaders to take their next major gamble, which was even riskier than the first: They bet that once they did start to effect robust economic and political union, national voters and parliaments would play along and vote the "right" way. So last year, when the EU elites decided to break their own treaties and turn the euro zone into a de facto debt union, they forced taxpayers in some countries to take on the liabilities of foreign governments in other countries—without the possibility of voting these governments out of office. But taxpayers are now showing signs of revolt. " "Will EU politicians' second gamble turn out as ill-judged as their first? Time will tell. But one thing is clear. The political price that European leaders are paying to keep their flawed project afloat continues to rise." In a new report released yesterday, we examine the EU’s €12bn external aid budget and question who is it actually for? As the waves of protests in Africa and the Middle East prompt some much needed reflection on the West's foreign policies, we think it’s about time that EU aid is also put back under the spotlight. The UK currently sends around £1.4bn to the Commission to be spent on external aid each year, which is no small sum. The Sunday Times featured our report, including many of the wasteful projects that we highlight. Click here to read Open Europe's report to get the full picture. But to summarise, we find that EU aid is poorly targeted at tackling poverty, despite this being a core objective enshrined in the the Lisbon Treaty. In fact, only 46% of EU aid reached lower income countries in 2009, compared with 74% of UK aid and 58% of EU member state governments’ aid. Instead of poverty, it appears that geographical proximity and ties with former colonies continue to determine the destination of much of the EU's aid budget. For example, the wealthy, tropical islands of New Caledonia receive on average €16 per person each year from EU aid, despite basically just as rich as your average EU country. Vital aid funds are also being lost in a sea of administration costs. EU aid, managed by the Commission, currently has admin costs of 5.4%, higher than the UK’s Department for International Development’s (DFID) 4% and the UK target to reduce these to 2%. Some EU aid streams, such as the programme for African, Caribbean and Pacific countries, have administration costs as high as 8.6% - above the ceiling the UK imposes when giving grants to NGOs. €1.4bn or roughly 10% of EU aid is needlessly passed on to other multilateral donors every year, such as the UN and World Bank. This money is simply being recycled between donors – up to three times in some cases – before it reaches a recipient country. Transparency is also often lacking when it comes to recording how EU aid is spent on particular projects selected for grants - some recipients are simply marked "confidential". "This report underlines the very reason why we are pressing for reforms of the way the EU spends aid…The EU's aid needs to be far more transparent, results-focussed and targeted at the poorest people, and we are now working with Brussels to help achieve this." We argue in our report that the best way to achieve this is to make all national contributions to the EU's aid spending voluntary - the European Development Fund, which is the only voluntary-funded stream of the EU aid budget, performs far better in terms of targeting the poorest countries. There is no need for Brussels' centralisation of aid funds - it simply leads to inefficiency and unaccountability. Time for a radical rethink. The EU's walls of Jericho moment? The exact consequences for the eurozone of the True Finns' success in yesterday's Finnish elections remain unclear. The result makes it the third largest party, securing 39 seats in the 200-strong parliament with 19% of the votes, close behind the National Coalition Party (NCP), which received 20.5% of the votes (44 seats in Parliament) and the Social Democrats which won 19.1% of the votes (42 seats). To put this into context, they polled only 4% in the last national elections. With performance better than the 15 or so percent expected on Friday, a seat within the new coalition government is now a distinct possibility. Finnish television Yle quotes the party secretary of the victorious National Coalition Party saying that a government consisting of the three major parties is a "strong possibility", with the NCP’s Jyrki Katainen as Prime Minister. Formal coalition negotiations are due to start on 27 April, which could make it very difficult for Finland to sign up to a bail-out package for Portugal, as that requires the approval of Finnish Parliament. True Finns leader Timo Soini has re-stated his opposition to the Portuguese bail-out package following last night’s election results. “I don’t believe that the package that is there will remain”, he told Yle last night. The Social Democrats want Portugal to restructure its debt rather than seek a bail-out, which is an additional factor in all of this. However, let's not also forget as with all politicians, Mr. Soini wants to be in government - he wants powers - so it's possible that he might compromise on the party's tough 'no more bailouts' position. What's clear is that when it comes to the EU Soini and Katainen occupy two different planets. Regardless, it's clear that a new brand of "triple A" populism has emerged in the creditor eurozone countries, whose voters are voicing strong opposition to the "we'll keep the euro together at any price" doctrine that they have been fed by EU elites up to now. As we've noted before, such anti-euro sentiments are now picked up by nationalist parties from Vienna to Paris, feeding into the mix of anti-incumbency, pro-independence and most often, strong anti-immigration sentiments. As we also noted before, the "far-right" label is inappropriate as a generalised term to describe the various parties currently occupying this space around Europe - they're all different in their make-up, roots and emphasis with some a lot nastier than others - and the True Finns simply isn't a "far right" party. What's clear though, is that they all push a heavily nationalist agenda, and they all fish in more or less murky, anti-immigration waters. But in relation to the eurozone specifically, what's so significant about this election is that it's changing the parameters of the debate. In Austria, Netherlands, Germany and France, the established parties have managed to keep strong anti-euro, anti-bail-out forces outside the realm of government. The Dutch government rely on the opposition parties to circumvent Gert Wilders' Freedom Party, for example. If the True Finns make it into government - and chances are that they will - 'triple A populism' will have become part of the mainstream conversation, in a mainstream European country. The guiding principle of European integration has always been 'build the institutions and the facts of life will follow'. In the realms of eurozone bail-outs, as well as in the contentious domain of immigration, this guiding principle is now being tested to its limits. "It is time to give ourselves a reality check. To receive the wake-up call. The people are blowing the trumpets round the city walls. Are we listening? Have we the political will to go out and meet them so that they regard our leadership as part of the solution not the problem?" That was six years ago. It's a most unfortunate irony that EU leaders, in their misguided efforts to stamp out 'nationalism' via over-building institutions and attempting to superimpose an artificial identity from above, are now contributing to the rise of the very currents they were professing to fight. 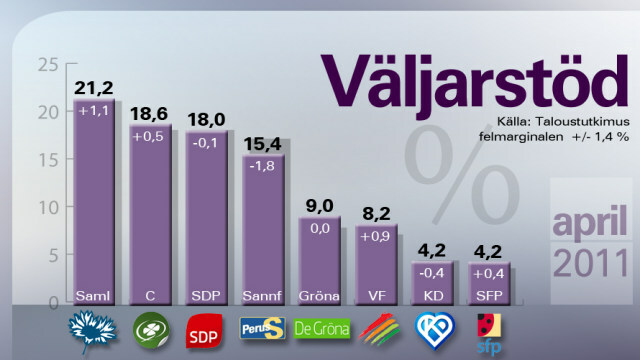 This is a graph showing the support for the different parties, according to a poll published last night, ahead of the Finnish national elections on Sunday. All international eyes are on the True Finns (fourth from the left) - the party that has said it opposes a bail-out deal for Portugal and putting any more cash on the table for struggling eurozone economies. In fact, the party doesn't want to be in the euro at all. A lot has been said about the True Finns, with the European media all of a sudden forced to become experts on Finnish national politics - it has to be said with varying degrees of success. That many still refer to the True Finns as a "right wing" party indicates the need for a bit more analysis and a bit less reliance on labels that are flying around. 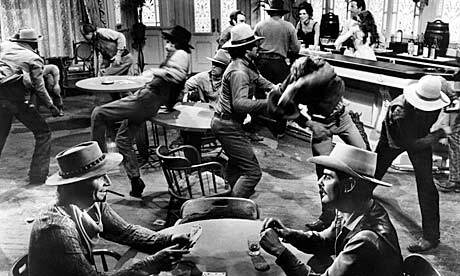 The party is pretty skilfully moving along the right-left scale. It's effectively social democratic on economic and welfare issues, favouring a big state, combined with a pretty clear socially conservative flavour. It's definitely populist and not exactly enthusiastic about immigration (and this in a country which accepts some of the fewest migrants in Europe). So what will happen on Sunday? We wouldn't bet our money on any player. The True Finns have seen a drop in support recently - 15.4% in the poll published yesterday, down from 17.2% a month ago. The National Coalition Party extended its lead to 21.2% in yesterday's poll, while the Centre Party was the second largest party at 18.6%. 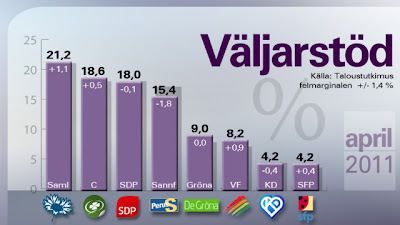 The Social Democrats were at 18%. The Nordic bookies don't think the True Finns will make it into government and will give you 2.10 times your money for a bet on them winning ministerial seats, while a bet on them not making it only gives you 1.65 times your money. Regardless, the True Finns are likely to make huge gains compared to the last elections in which they scored just over 4% (see the rise of the True Finns here, in yellow). And a second thing to remember, the Social Democrats - currently at 18% - have also expressed pretty clear opposition to a Portuguese bail-out, instead arguing for a restructuring. Between them, the two parties could well reach above 30% - that's a pretty powerful anti-bail-out bloc. As we've noted before, this could potentially hugely complicate a Portuguese bail-out, as well as efforts to top up the temporary bail-out fund (EFSM) and cash injections in to the permanent rescue mechanism (EFM). The elections in Finland have made people - not least many opinion formers - start to realise that, shock horror, ultimately the eurozone is about politics. And as we know all politics is local. In fact, it's difficult to find a more conspicuous example of the inherent flaws of the eurozone - the idea that political ambition can stamp out both economic and democratic realities - coming up against the full force of national democracy. The talk of a Greek restructuring has resurfaced again, following Wolfgang Schauble’s seeming acceptance that one might be necessary in the near future. It looks like he’s back tracked today, claiming he was ‘misinterpreted’, but the damage was already done - Greek cost of borrowing has already hit new highs and the euro weakened significantly. As we’ve noted on this blog many times (here and here, for example) and in our Greece paper, a debt restructuring is unavoidable, Greece is essentially insolvent. It’s been trying hard to enact the necessary austerity but the evidence is against the government – tax revenues have barely increased, spending cuts are proving hard to enact and the population is already fed up with austerity in all its forms. There are a couple of points which have been raised with us recently on the negatives of a Greek debt restructuring: it will take down the Greek banking sector and there is significant moral hazard. Undoubtedly, it is a risky proposal but from what we can see, there are few other options to tackle the long term (and in this case short term) problems. On the risk to the banking sector, there is no doubt that Greek banks hold huge amounts of Greek sovereign debt but that just serves to underline that they’re unsustainable. 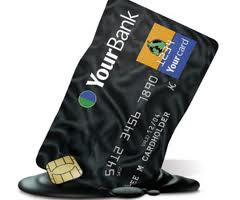 All the large Greek banks need to be restructured and recapitalised. Combining this with a sovereign debt restructuring is just good sense. They may need some capital injection and a lot of ECB help, they may even need to be nationalised while all this takes place but in the end the newly streamlined banks will serve the economy far better than the bloated inefficient current ones ever could. As for the moral hazard, it is a valid concern that it could encourage other nations to seek debt relief but unfortunately we’re now in the realm of lesser evils. With bailouts or fiscal transfers you get a double moral hazard – firstly to the governments, who are not being reprimanded for their profligacy, and secondly to banks, who took huge risks which they could not cover – at least a restructuring shares the burden between the two. It looks like Greece is coming to the end of the road, a decision needs to be made otherwise a chaotic default could be on the cards before 2013 and nobody wants that. Greece is priced out of the markets for the foreseeable future, the public is fed up with austerity and taxpayers across Europe are tired of paying to support ailing economies; what more is there to lose from a debt restructuring? The problems facing German banks (and banks as a whole) have been slightly under reported in recent months. This week, though, has seen a spate of reports which pick up on just that issue. The IMF Global Financial Stability Report pinpointed the Irish and German banks as the ones with the most "acute" need to rollover debt. Both banking sectors have about half of their outstanding debt due in the next couple of years. So expect a refinancing rush in the not too distant future (although the more immediate concern for most German banks is whether they can raise enough capital to make sure they pass the next round of stress tests). Interestingly (and commendably), the IMF takes a much higher threshold for capital requirements than the EBA (8% compared to 5%). According to the report, a third of all European banks don't meet the IMF core capital requirements. This highlights just how lax the EBA is being in its assessments, and how precarious the position of many banks is. According to PWC, German banks are holding €225bn in "non performing loans" - these are loans which are unlikely to be repaid (to compare: UK banks hold €175bn. Irish and Spanish banks hold €110bn and €100bn respectively). The sheer volume of risky loans held by German banks is surprising, especially considering that they hold more than the UK banking sector which is far larger. These figures are only going to increase as well, thanks to poor economic growth and the looming ECB rate rises. Once these losses start being realised they could pose a serious problem for the smaller German banks, who already have capitalisation issues. On the surface this may seem like it detracts from the problems of the periphery and could even reduce the 'piousness' which many have accused Germany of. However, this is probably far from the truth. Unfortunately, these banking problems are systemic and not enough is being done to tackle them (or even root out their full extent). Well, (not that we like harping on about it) effective and transparent stress tests would be a good place to start. Combining some peripheral debt restructuring with a widespread recapitalisation programme for European banks should be the ultimate goal. This might be a painful process but it would finally deal with the issues that have been hanging around since the start of the financial crisis. There also needs to be a plan for winding down insolvent and inefficient banks (to be fair there is a 2001 directive which outlines one, but it needs updating and some political will to enforce it). European leaders continue to turn a blind eye to the dire state of European banks and in this instance Germany is as, if not more, guilty. The level of non-performing loans, huge exposure to peripheral economies and large amounts of debt maturing highlight the trifecta of problems which European banks face; shouldn't EU leaders at least try and deal with one of them? Solving the problem should undoubtedly be the priority now, but looking at how Portugal got into this mess might help to formulate a solution. Clearly there were many factors which helped to precipitate the current crisis, including numerous domestic political and policy mistakes. However, being a member of the single currency definitely seems to have played a part. "The Portuguese economy went from a boom led by in the second half of the nineties to a marked slowdown in this decade (Chart 1). A major impulse for the expansion was the considerable fall in interest rates when the prospect of accession to EMU became increasingly self-validating. Nominal short-term interest rates fully converged to those at the common low level set by the ECB (Chart 2)." The paper suggests that the "substantial fall in interest rates, [was] the main trigger for the boom", which later resulted in a bust. The interesting difference with Portugal, compared to Spain, Ireland and Greece, is that it experienced the infamous boom - bust dynamics before it entered the eurozone, but still because of the "prospect of accession to EMU", as the officials put it. The eurozone's "sleeping pill" dynamics (as Herman Van Rompuy puts it) have prevented investors from forcing the country into unpopular, but necessary, reforms to boost competitiveness, resulting in Portugal becoming 21% less competitive relative to Germany over the past decade (this looks to be true of the past and current crisis). So when Portugal experienced its bust, long before Spain and Ireland experienced theirs, there wasn't a currency which could come under strain and thereby discipline the politicians. This was surely one of the reasons for the consistently sluggish growth in Portugal following its bust. There is, obviously, more to it though. Thanks to the ECB's artificially low interest rates, which were designed for a slow growing Germany, the country started accumulating very high levels of private debt, up to more than 200 percent of GDP (just like in Spain and Ireland, however, they managed to grow at the same time ). On top of all of this, the Portuguese government hasn't exactly been a shining example of sound budgetary management. It has run large budget deficits for many years and has accumulated a significant level of debt for an economy the size of Portugal's (both the debt and deficit figures for last year were recently revised upwards as well). Fundamentally however, an overvalued currency which prevented growth (the Escudo would have decreased in value following the original bust), combined with interest rates which were an ongoing stimulus to take on new debt, left Portugal with a decade of low growth. The resulting fall in relative living standards, compared to the rest of the EU, and the fall in tax receipts further fuelled the build up of both private and pubic debt. Interestingly, Portugal's problems can provide some hint at what the future may hold for Greece, Ireland and possibly Spain. Even loose monetary policy and boosts in liquidity (admittedly in debt form) didn't solve Portugal's underlying competitiveness and currency problems, in fact they may have made things worse. These lessons from Portugal's past should be heeded by those in charge. Tackling the root causes of this crisis - eurozone imbalances, competitiveness problems and the banking crisis - is of paramount importance, as is providing for all eventualities, including a restructuring and possibly even a change in eurozone membership. Former Central Banker Alexandre Lamfalussy was yesterday holding court at a debate in Brussels, looking at EU financial regulation, and in particular the creation of the three new EU authorities for 'micro-prudential' supervision and their sister organisation, the new European Systemic Risk Board, for the macro-prudential side of things. We've looked at this issue in detail before, but let's have another go. Lamfalussy is an EU "wise man" - belonging to an exclusive group of men (they're almost always men and have usually seen too many winters) whose services are called upon when Europe is need of a game-changing policy that will solve all its problems overnight. Lamfalussy certainly has an impressive CV. He was the chair of the Committee of Wise Men on the Regulation of European Securities Markets (which is a ridiculous name - why not go for the Fellowship of the Ring while they're at it? ), having also served as first President of the European Monetary Institute, predecessor to the ECB, and Director General of the Bank for International Settlements. It was also Lamfalussy's committee that proposed the so-called Lamfalussy process - the EU's method for deciding and implementing financial regulation (Zzzzz). Speaking at the debate, Lamfalussy labelled the recent makeover of the EU's financial supervisory architecture a "quantum leap", saying he was particularly pleased with the fact that "the level 2 committees [in the Lamfalussy process] have become authorities now", which in plain English means that more powers have now been given to the EU. As Lamfalussy put it, the three supervisors - charged with overseeing banks, insurance and securities - are now equipped with proper "decision-making powers" (how that is legal under the EU treaties is open to debate, but that's for another time). He wasn't as happy about the limited mandate of the European Systemic Risk Board, which has more of an advisory role at the moment. He said that "it should get decision-making powers as soon as possible" since "the absence of a macro-prudential supervision component [which is meant to be the ESRB's area] did play a major role in the crisis." Warming to his subject, he then went on to argue that "the problem with the people now in charge [i.e. the three EU supervisors] is that they haven't been trained or mandated" for their task, adding that "the three should instead have direct and frequent access to the bankers." In other words, the supervisors need to get closer to the people/level that they are meant to be regulating. Right, so let's recap. Mr Lamfalussy says that 1) financial supervisors failed to spot/address the crisis and 2) the people working for the EU's new financial supervisors aren't trained properly and 3) we need to regulate closer to the ground but 4) we need to concentrate more supervisory powers at the hands of EU regulators - micro as well as macro - at the expense of experienced national authorities which, naturally, are closer to the ground. Hmmm, something doesn't seem to add up here. Indeed, as someone once noted, "the problem with wise men is that there aren't enough of them." They tend to have an inherent bias towards whatever option they're commissioned to write about, with no one there to take a contrary view. Judging from Lamfalussy's comments - which of course should be seen in light of his entire speech - it's not entirely clear to us whether he's making the argument for more EU supervisory powers -or less, i.e. devolving powers to a level closer to the firms that are being regulated and where the expertise also lies. In addition, it remains unclear to us why EU supervisors would do a better job spotting bubbles and systemic risks than their national counterparts (an issue which we look at here). But surely, an EU wise man must be able to put up a stronger case than this? Italy's Lega Nord has probably been dreaming of this moment for years: a head-on European collision over immigration, with Italy pitted against the Commission and other EU governments. The 20,000 North African migrants stranded on the tiny Italian island of Lampedusa provided Italian Interior Minister Roberto Maroni (from Lega Nord, see picture) with an"opportunity" to make a point that he hardly would miss out on. "an institution which takes action quickly only to bail-out banks and declare wars, but when it comes to showing concrete solidarity to a country like Italy, then [the EU] hides itself...I wonder if it really makes sense [for Italy] to remain part of the EU." 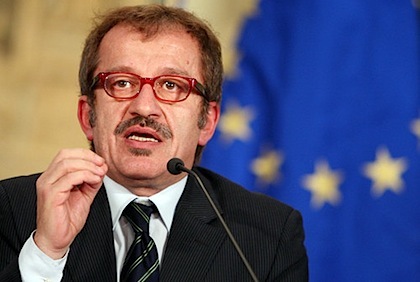 Italy isn't in any way contemplating leaving the EU of course, so Maroni is engaging in political posturing. This is obviously a hugely sensitive issue, but Maroni needs to chill a bit. It's not like Italy has completely been left hanging, as Maroni seems to suggest. This year, the country receives roughly €140 million in EU funding aimed at tackling various migration-related issues. In addition, it hasn't exactly used the billions it has recieved in EU structural funding in the most effective way - Italy's south is probably the biggest bottomless pit for EU funding. Instead of wasting it, this money could be used to deal with social exclusion and create more jobs for migrants. Call it "concrete solidarity" with European taxpayers. For various reasons, Italy's clout in Europe has been seriously reduced recently - the country is unlikely to emerge as winners from this recent spat. However, calls for a common EU immigration policy won't go away - whether we agree or disagree with it, it's hard to a find more controversial area to outsource to Brussels, so this is likely to drag on. In fact, it's up there with cross-border bail-outs and EU-enforced austerity measures, as the top issue that really will test the limits of European integration. "And here’s the thing, the reason why the UK is now required to underwrite a Portuguese bail-out to the tune of £3-4 bn (partly via the EU budget, the legality of which is dubious, party via the IMF, which is fair game) isn’t Alistair Darling, who signed the emergency bail-out deal in May last year, or George Osborne, who allegedly was consulted by Darling. The UK long ago gave up its veto over the part of the EU treaties – the now infamous article 122 – that can be used to commit Britain to financially assisting an EU country in trouble, if that country is hit by a “natural disaster” or “occurrences beyond its control.” Even if Darling, or Osborne for that matter, had objected to the emergency EU bail-out fund last May, they would probably have been outvoted as the decision was subject to majority voting (whether a UK Chancellor, even if he had had a veto, would have wanted to block the deal, given the enormous financial and political pressures at work is also open to debate). The question then is, whose brilliant idea was it to give up the veto over article 122 – which has effectively become the financial equivalent to Nato’s Article 5 on mutual military assistance?" To get the answer, read the full post. Last June, we published a pamphlet titled "They Said It: how the EU elite got it wrong on the euro", in which we compared what politicians, central bankers, journalists and opinion makers said about the Single Currency before the eurozone crisis erupted - to what they say now. It's a pretty shocking read, and should make people think twice before making the argument against EU-related referenda on the grounds that 'average people are too stupid to understand such complex issues'. On the euro, by far the most important issue relating to the European project, it was the elite (in politics, in media and elsewhere) who got it spectacularly wrong - for whatever reason: political vanity, ideology, short-term thinking, ignorance or plain incompetence. Take the FT's Wolfgang Munchau, for example. For years, the guy churned out columns praising the euro, sometimes with caveats, but nothing like the stuff we're seeing now. "There is not the slightest danger of a break-up of the Eurozone. On the contrary, I expect the Eurozone to be exceptionally stable in the long run. 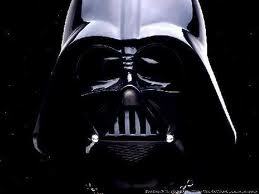 Make no mistake, the Eurozone is here to stay". "The world's two large reserve currencies, the dollar and the euro, offer more protection from speculative attack than a free-floating offshore currency unit. The UK will at some point have to make a choice whether it wants to be in the Eurozone or whether it wants to seek an alternative use for those rather tall buildings in the heart of London". Trust us, we can make the list of contradictory quotes from Munchau very very long. In fact, we could write a new "They said it" every single month, and wouldn't have any difficulty filling it with material, as established figures continue to contradict themselves on the euro. Okay, so the eurozone crisis is a moving target and we all get stuff wrong from time to time, but this is pretty bad. It's also interesting that those complaining about the poor coverage of EU issues in UK media never quite seem to look at the flip side of the coin. Lots of people have been focusing on the recent ECB rate rise, but the ECB’s role in this crisis has really been determined by its other – more opaque and less publicised – role: as lender of last resort. This has got the ECB into a near untenable position. It faces huge exposure to peripheral eurozone countries, it aims to maintain price stability, but has also acted to stabilise the whole eurozone economy, and it has underwritten a bloated and inefficient banking sector with unlimited cheap money. The ECB has lent massively to the struggling European banking sector. Although this may have been viable and necessary to halt the systemic risk from the financial crisis it is now out of control. It has propped up banks that should have gone bust and created banks addicted to ECB funding. A mechanism for reining in lending and winding down banks should have been in place from the start. The ECB essentially dug itself a hole without bringing a ladder to get itself out again. Let’s not forget, these actions also helped fuel the sovereign debt crisis by creating perverse incentives. These banks could take on cheap ECB loans and then invest in high yielding but relatively safe assets (peripheral sovereign bonds at the time), in order to turn quick profit and increase capital. This fuelled the level of government debt and when it became clear just how bad the sovereigns' finances were, markets panicked and the debt crisis hit (but with more debt and more banks involved/exposed than before). The ECB tried to fix this problem by throwing more liquidity at it (through its bond buying programme). This just increased its exposure to risky economies, distorted bond markets and rightly raised questions over its independence and impartiality (not to mention being potentially inflationary). Lastly, the ECB has overseen the build up of huge imbalances in the eurosystem of central banks. Some, like Ireland or Greece, borrow huge amounts but contribute little. The loans to these countries are underwritten by other central banks in the system, making them even more exposed to a peripheral default. The ECB has played a huge role in the cycling of debt around the eurozone, and put itself in a very exposed and compromising position. Its interest rate policy is massively important but the darker side of ECB policy has debatably played a more important (and negative) role in this crisis. To be fair to the ECB this was not all of its own making, since it was forced into this situation by eurozone leaders inaction, which is further illustration of the politicisation of a once proudly independent central bank. Portugal’s announcement that it too will tap the EU/IMF bail-out fund comes as no surprise. As we’ve argued many times before, it was merely a question of time. The announcement has however send eurozone hawks into a tailspin as questions over the amount, timing and conditions remain to be answered. Here’s some leaks picked up from the Portuguese press and elsewhere. The size of the bail-out is expected to fall between €70bn to €90bn. Jornal de Negócios today reports that Jean-Claude Juncker says €75bn could be “appropriate”. Similar figures have been flying around for some time though. The Portuguese papers are somewhat less conservative, with many papers citing Diário Económico's estimate that the figure could rise to €90bn. Público report that Guy Schuller, a Spokesperson for Jean-Claude Juncker says that technically there is no reason why some of the bail-out cannot arrive before the elections. This is also backed up by a European source close to tomorrow’s ECOFIN meeting who is cited in Dow Jones saying, “It will be difficult to concede a total package to a caretaker government” but “part of the resources could arrive before the elections”. “The preliminary technical work for the case of Portugal has already been done”, making it possible to issue the resources with “great speed”, claims the source. The bail-out news has received a mixed response within Portugal, President Anibal Cavaco welcomed the move, announcing his support for caretaker PM José Sócrates and calling for “an attitude of responsible cooperation from the opposition parties”. Opposition leader Pedro Passos said he supports the move, claiming it’s a way “to guarantee the national security and to preserve the reputation of Portugal abroad”. However, Reuters quotes a senior EU official who said that “the conditions demanded by Brussels are going to be very similar to the measures of the PEC, rejected in March by Parliament”. The same conditions which Passos so vehemently opposed just two weeks ago. 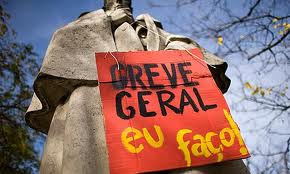 A Portuguese government source confirmed today that a bail-out will only be arranged with the support of the opposition. The National Federation of Trade Unions for the public sector will hold a strike on 6 May under the guise of getting “the IMF out of Portugal”, reports Diário Económico. Meanwhile, the President of the Portuguese Banking Association has said that the ECB gave “clear instructions” to the banks to reduce their exposure to the government and other public sector bodies. "We have reason to be very critical of the Portuguese government. This is a decision that should have been made in November, December. It’s been obvious for a long time that this country can’t stand on its own two feet. There have been very frank discussions but the discussions have got stuck in internal political discussions instead of the necessary decisions are being made. The Portuguese government has made the situation worse for itself and has contributed to an uncertain situation which has cost jobs and wealth in other countries. So we have reason to be strongly critical of them." Portugal: so what are the options? This is likely the lowest viable level for a bail-out package since it only just manages to cover Portugal up to the end of 2013. Any lower and the money would not be sufficient to cover Portugal’s costs for a reasonable amount of time. An €80bn bail-out package could take Portugal off the market until the end of 2014. 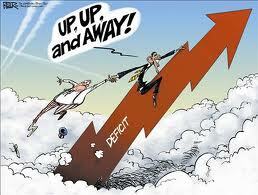 This includes covering the debt as well as the deficit from now until the end of 2014. There would also be scope to provide the banking sector with €5.7bn to aid recapitalisation or to encourage lending to households and SMEs. This will be a harder sell to some of the Triple A rated countries, especially if they believe Portugal could make do with less. The extra funding here could be put towards covering or reducing some of the short term debt which may still be required for unforeseen funding costs over the three years. This amount could be floated as a way to make sure there are no renegotiations or shortage of funding as seen in Greece and Ireland. It is important to note that any bail-out would not impose direct costs onto the UK, other than the cash contributions which the UK makes to the IMF. However, a bailout is still significant for UK taxpayers, as it effectively requires them to underwrite the debt of peripheral eurozone economies. The liabilities also significantly increase the level of UK exposure to these economies. In any case, if a firm took on large liabilities they would need to be declared in its accounting procedures and would be taken account of by anyone who assessed the financial state of the company. The same should definitely be true of governments. 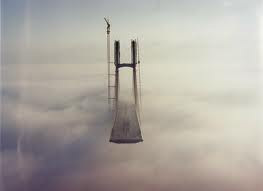 There has also been talk of bridge loans, see our previous post for a discussion of that issue. In case you missed it (and chances are that you did), last night's debate in the Lords on the Government's proposed EU Bill and 'referendum lock' was a bizarre affair, with many of the peers literally being all over the place. For a while there, it reminded us of some of the debates we've come across in the European Parliament - in many cases, what was said didn't actually correspond to anything taking place in the real world, nor any shade of public opinion. We have looked at the 'referendum lock', which we're broadly in support of, on several occasions and argued that it would have been a much better 'lock' if it had incorporated the transfer of crime, justice and immigration laws - the Coalition has said it will continue to make its decisions to 'opt in' to these new laws on a case-by-case basis (and it continues to do so in roughly two-thirds of the cases it has the opportunity), rather than via a formal mechanism that could give MPs and the electorate some control over these transfers of power. But back to the debate. A sign that something is broadly hitting the right note is when it is attacked from both sides. The Bill has been attacked for both preventing any future EU integration and as a sell-out by those who feel it won't stop the transfer of powers to Brussels (many of these people's real problem with the 'referendum lock' is that it doesn't roll back the existing transfers of power, which it was never designed to do) . Now, surely, both cannot be right. Former Tory Minister and Conservative peer Lord Deben was seemingly having a particularly bad day, suggesting that the Government was pandering to "head-bangers". He added that he was "ashamed" of the Government's plans to hold referendums on whether to approve new EU treaties or major changes to existing ones and promised to vote against the legislation "again and again and again" unless changes were made. I do not believe in referenda in any circumstances. They are wholly unsuitable in a parliamentary democracy; they are a foreign invention used by people for ulterior motives; and they have never been part of the sort of society in which we live. I am ashamed that my Government have brought this forward. Er, out of touch? The argument that the Bill would lead to referenda being held on every minutiae of EU policy seems to have gained credence amongst the peers discussing it yesterday. The only problem is, this argument is absolute nonsense, which anyone who has followed just a bit of EU politics over recent years would realise. The Bill only covers transfers of competence under a new treaty or through changing the existing treaties - some of the major the "passerelle" clauses will also trigger a referendum. But there are a lot of stuff that won't trigger a public vote, because of what the EU already can do within its existing legal framework. To get an idea of the kind of action that the EU can take without touching the Treaties, take the creation of the eurozone's €60bn temporary bailout fund, the EFSM. The hugely controversial decision to reinterpret EU law, through a qualified majority vote, and ignore the existing "no bail-out" clauses in the Treaties did not require a treaty change and therefore wouldn't have been caught by the lock. Or take the creation of three new EU financial supervisors, with binding powers over national authorities - again, that decision was taken by a qualified majority vote. A Treaty change wasn't even on the cards. 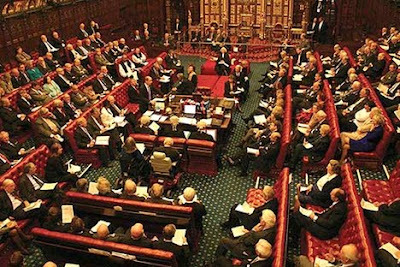 Rather than trading in hyperbole, Peers should focus on the meat of the Bill and seek to improve it, so that some trust can be restored in politics. Realising that European and British politics have moved on since the 70s/80s/90s (take your pick) would be a good place to start. My Lords, when the noble Lord, Lord Pearson of Rannoch, says that he wants to stick to his guns, I am inclined to hope that he goes very near to the muzzle of those guns-indeed, just in front-because that would be a suitable location. Now that’s not very nice, is it Neil? There’s been a lot of talk over the last couple of days about Portugal getting bridge loans from somewhere (the European Commission, bilateral loans, the ECB) to hold them over until a new government comes to power. If the objective is to deal with the sovereign debt crisis, such a solution would really be the worst of both worlds. Not only would this small bailout have to be condition-free (since there is no government to enact or negotiate the conditions) but it would be nothing more than a precursor to a larger bailout to be negotiated with the new government. Neither of these bailouts will solve anything (as we pointed out in our Portugal paper); the country is basically insolvent and uncompetitive within the eurozone and beyond. Regardless, no one seems to have any idea where a condition free loan would actually come from. As FT Alphaville points out, EFSM, IMF and even bilateral loans come with conditions (although we agree that the latter is currently the most likely option). The ECB has been eerily silent during the back and forth on this issue, suggesting that it is strongly opposed to expanding its government bond buying to fund Portugal (although we already knew that). Oh, and just for good measure the caretaker government continues its line of denying that any talks with the EU over short term loans, or otherwise, exist. Meanwhile, back at the fort, Portugal held another short term bond auction, which raised €1bn but at 5.9% for a one year loan (at that interest rate you could get a €70bn bailout from the EU/IMF). To add insult to injury Portuguese banks announced they would stop buying Portuguese government bonds (because even they have accepted that the debt will be restructured). In case you were wondering, it looks like the Portuguese social security fund bought most of the debt on offer today, meaning that when it gets restructured a large chunk of the populations’ retirement capital will be wiped out. Clearly, a bridge doesn’t help if you’ve already sunk. What's the truth about the True Finns? We have received a couple of comments in regards to our blog post below on the rise of populist parties in the wake of the eurozone bail-outs. Some have been unhappy about our assertion that the Front National is gaining ground in French politics, whereas others have taken issue with us mentioning the True Finns in the same breath as the Front National and FPÖ (the expression "not as bad as FPÖ" has caused particular offence). But on the point about the True Finns, a clarification might be appropriate. The True Finns party, or Perussuomalaiset in Finnish, has its roots in an anti-incumbency, rural protest movement from the 1950s, leading to the formation of a political party, eventually named the Finnish Rural Party. The party's dissolution in 1995 led to the creation of the True Finns (one of the party's slogans, "Crush the power hold of the old parties", is testament to its heritage). More than anything else, its euroscepticism seems to flow out of this tradition (which also explains its opposition to providing more cash to the temporary eurozone bail-out fund, the EFSF, for more bail-outs - bail-outs which we agree aren't really working). So clearly, the party has very different roots compared to other Scandinavian populist parties, such as the Sweden Democrats and the Danish People's Party (for Swedish speakers, here's an article breaking it down). The Front National, Geert Wilder's Freedom Party etc are much farther away again from the True Finns. In other words, the party cannot be described as "far right", as some non-Finnish media insist on so doing. However, it cannot be described as "centre-right" either, as it draws heavily from an old school, social democratic agenda (i.e. high taxes and a big welfare state). Kind of like a social democratic tea party, with a lot of emphasis on national sovereignty and independence. According to an opinion poll published today, the party has lost some ground over the last few days, and are now fourth in the race (compared to second in a poll published the other week) - a race that is still wide open it has to be said. What makes this interesting for the EU and the eurozone is that Finland is the first Triple A eurozone country in which euro bail-outs have become a national election issue. As the leader of the True Finns, Timo Soini, put it, the election might evolve into the referendum which the Finnish people were refused when the euro was first introduced. Is the ECB becoming a bad bank? Its common knowledge that the ECB has been providing massive amounts of liquidity to eurozone governments both directly (through the purchase of government bonds) and indirectly (by taking on large amount of government debt as collateral for lending to banks). The extent of this – and therefore also the implications – are less clear, mostly thanks to the ECB’s reluctance to publish any data on its holdings of collateral or government debt. FT Alphaville highlights a note from JP Morgan, which suggests that the indirect exposure of the ECB to the Greek state is massive - and then we mean massive. JPM estimates that Greek banks have posted almost €140bn in state related collateral with the ECB (€85bn of state guaranteed bank paper, €45bn of Greek government bonds owned by Greek banks and €8bn of zero-coupon bonds which the Greek government had lent to Greek banks in 2008). Combining this with the direct holdings of government debt (thought to be around €60bn, as we noted in our paper on Greece) you get total exposure of the ECB to the Greek state of around €200bn. That is a phenomenal amount. Though these amounts are slightly speculative at the moment, there are some interesting and possibly disturbing implications here, particularly for those of us who believe that Greece will need to restructure its debt at some point soon (not that we’re alone, this group includes nearly all investors and apparently the IMF). 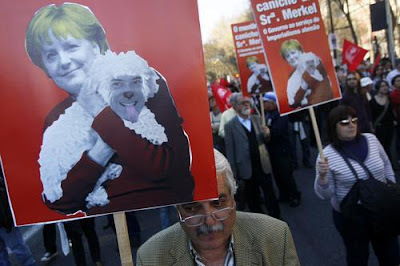 This exposure to the Greek state is in the direct firing line if a restructuring occurs. First, there are likely to be large write downs on the direct holdings of Greek government bonds (at least 35% to have any significant impact on the debt burden) and secondly, the state backed paper could become close to worthless. Potential losses are still hard to quantify but would easily be upwards of €40bn. Comparing this loss to the capital and reserves which the ECB holds, around €79bn, shows the potentially difficult situation which the ECB could find itself in following a Greek restructuring. Essentially the ECB would either have to ask eurozone governments for an injection of capital or or try to print their way back to an acceptable level of capital and reserves. Therefore, following a Greek restructuring the ECB may have may face a difficult choice: completely ignore its primary mission (i.e. price stability) and print money or go hand in cap to governments - like the bad banks in the financial crisis - and ask for cash (almost like a bail-out). Two questions: how in the world did the ECB allow itself to get so deep into this mess? And do German politicans/economists/opinion formers understand how incredibly exposed the ECB - once dubbed the world's strongest central bank - actually is? Last week we organised a debate in London on the EU's proposed short-selling rules (a summary of the event can be found here). With four excellent panellists, we covered lots of ground and managed to get into the crucial details without losing track of the bigger picture (always a challenge with what is, after all, a highly technical piece of financial legislation). The proposal is currently gridlocked in negotiations between MEPs, member states and the Commission. As it stands, the proposed short-selling regulation is a mixed bag - some much needed transparency measures are welcome, but some provisions on the table could be counterproductive and hurt weaker European economies . In particular, MEPs want to impose a blanket ban on short-selling of "uncovered" Credit Default Swaps on sovereign debt, to counter "speculation" against weaker eurozone economies. That the Commission, and virtually everyone else, has pointed out that there is no evidence that short-selling drives up borrowing costs for governments, seems not to matter. MEPs insistence on a blanket ban is all about political games - it has nothing to do with economic realities. As MEP Syed Kamall (who's opposing the ban) noted at the debate - and others have noted as well - when a fight breaks out in a bar, you don't hit the guy that started the fight, you hit the one you always wanted to hit (see picture - we'd like to say that the two guys sitting down chilling are representative of the UK's approach to Europe but that might be a bit harsh, at least in this case). The overarching goals of the European Union's new short-selling regulations are supposed to "create a harmonised framework for coordinated action at European level, increase transparency and reduce risks". These are commendable aims, which are also widely accepted by those within the industry. In fact, in many cases, the ability to "go short" increases investments in struggling economies since it serves to reduce risks involved in that investment – while offsetting the exposure investors may have to long positions elsewhere. Take away this form of insurance, and fund managers will grow increasingly reluctant to invest in the very economies that are in need of cash inflows. For example, take an investor who considers putting his money into a project or enterprise in one of the eurozone economies, which is struggling to cope with large levels of debt at the moment. Naturally, he will want to have a way to hedge or insure himself against potential losses, in what is a risky economic environment. One way of doing this is to take a short position on the sovereign debt of this country in order to offset some of the risk. An excessive ban on CDS short-selling activities would reduce the flexibility of markets to respond to these kinds of risks, which in turn increases the cost of capital and reduces investments in - and lending to - struggling eurozone economies. The biggest problem with this proposal is, therefore, that it is driven by a narrow political agenda rather than economic evidence, best practice and common sense. It is easier for politicians to accuse "speculators" - a vague group of people that is never really defined - for carrying out an evil conspiracy, than to deal with the real problems facing the EU economy. Such as low growth, an undercapitalised banking sector, an unsustainable single currency and governments spending money they do not have. "But we have a Foreign Office..."